Rachael and Simon enjoy a Taste of Southern India! When I was first asked if I’d like to be part of the India Meet the People tour I didn’t hesitate in saying yes and Simon was exactly the same. Meeting the people behind products is something we’ve both wanted to do since joining Traidcraft and we couldn’t wait to be on our way. When writing this at the end of our first week, the trip has been everything we hoped it would be and more. After a long journey of 26 hours we finally arrived in Kalpetta which is a town in Wayanad district in the Indian state of Kerala and since then it’s been full steam ahead. It’s still quite surreal that we are actually here and experiencing this whole new vibrant culture and I am loving what each new day brings. Curry at every meal time is talking a bit of getting used to, but when in Rome! 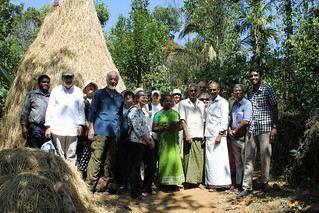 On our second day we visited coffee farmers from Fair Trade Alliance Kerala (FTAK) who produce our classic blend coffee. The two hour drive up the mountains flew by as I gazed out of the window taking in the breath taking scenery. 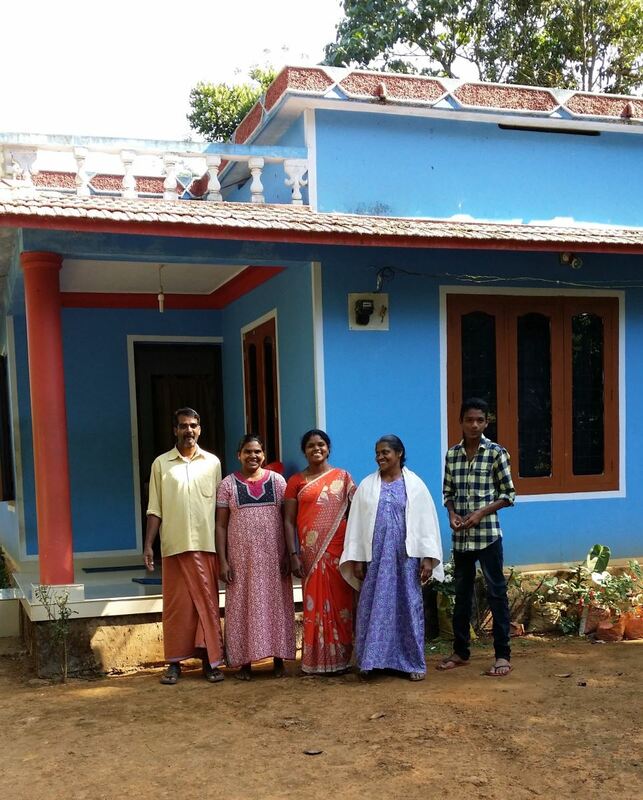 I was surprised to see that you don’t go far in India without coming across a village decorated with brightly coloured houses and shops selling an array of items – everything from fruit, mostly bananas, to sheets of shiny roof metal! We visited three farmers at FTAK who were incredibly friendly and welcoming. Whilst coffee is their main crop they also have others on their land including pepper, oranges, coconut, pineapple, tapioca and rubber to name but a few. It was interesting to find out that a number of the farmers are moving into organic coffee as pesticides are expensive and they receive more for organic beans. The majority of the beans grown by FTAK are Robusta, as it is more suited to the land and yields higher crops for the farmers. It was great to see that all of the farmers that we visited had electricity and their own well. FTAK is clearly an innovator in the fair trade movement, going above and beyond fair trade by developing a strategy called ‘fair trade plus three’. The strategy focuses on biodiversity, food security and gender equality. In three years their goal is to go from 4,000 farmers to 10,000 – for farmers to become more self-sufficient and bring women to the front line and empower them. They are also encouraging biodiversity which is encouraging. After a busy morning FTAK were very kind and hosted us for lunch which was welcomed after a busy morning in the farms and we were not disappointed. 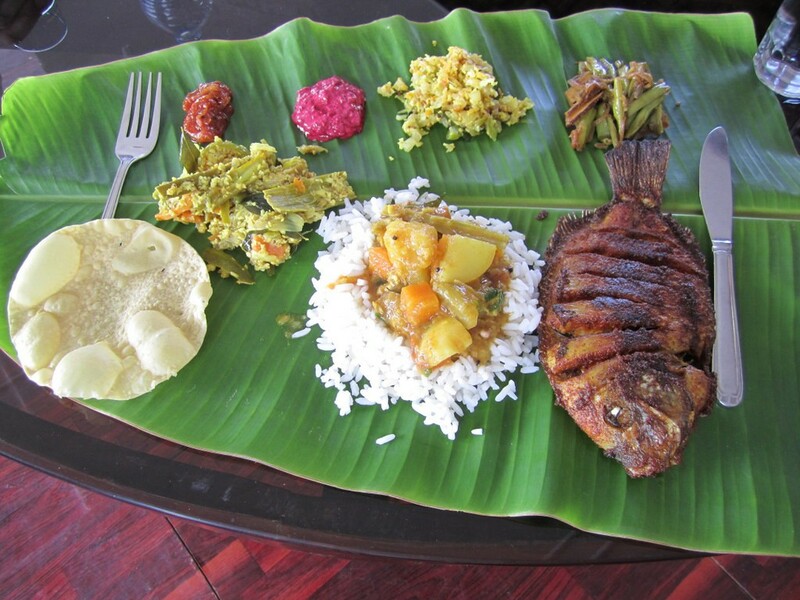 Lunch was served up on a banana leaf, a good way to save on washing up! It was beautifully presented and tasted delicious with a stark contrast of fresh and crisp coconut and spicy peppercorn. All finished off with some cardamom water. It certainly beat my usual lunch of soup at Traidcraft HQ hands down! On Tuesday we met a cashew nut farmer and some members of his family. Like many farmers they have diversified and are now growing rubber trees, although it will take 7 years before a harvest. Simon made lots of new friends when a group of children from the neighbourhood took a shine to him, amazingly they are now adding Simon on Facebook! In the afternoon we visited the coconut processing factory which was something I was really looking forward to and I was not disappointed! 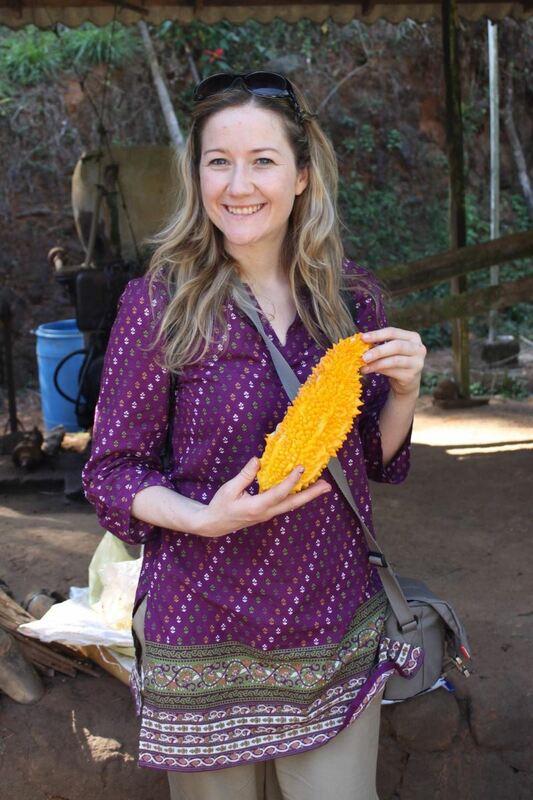 We saw how they make dried coconut, coconut oil and virgin coconut oil which was a very long, hot and noisy process! We also met Tommy Matthews, founder of FTAK, a truly inspirational leader and fair trade pioneer that described fair trade as ‘an iceberg in a sea of poverty’. A definite highlight of my trip so far! Today we’ve visited a church and synagogue and museum and have a free afternoon to have a look around Kochi, an old port which is very different to our last destination and is far more catered to tourists and back packers. I quite liked being off the beaten track but it’s nice to have cold water again and pancakes for breakfast! An incredible first week in India and if this week is anything to go by I have high hopes for the rest of the trip! For more details on our A Taste of Southern India Tour then you can click here to view the holiday page or you can request a tour dossier here. 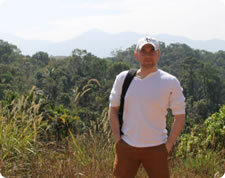 For more photos from Rachael and Simon and from all of our Southern India Tours you can browse our Flickr Gallery here.